This Shropshire based town has a number of long distance trails passsing through the area. There's also a lovely local country park and the ever popular climb to the Wrekin to try. This route from makes use of the Silkin Way and the Ironbridge Way to create a circular walk around the town. You'll visits some of the town's local parks and the wonderful Ironbridge Gorge to the south of the town. The walk starts in the town centre where you can pick up the Silkin Way shared cycling and walking trail. This will lead you past the town park where you can enjoy some waterside footpaths along the Radlay Pool. The trail passes Stirchley and Madeley before arriving at the River Severn. Here you can pick up the Severn Way and follow it west to the historic town of Ironbridge. Here you can view the impressive bridge which opened in 1781. It was the first major bridge in the world to be made of cast iron, and was greatly celebrated after construction owing to its use of the new material. The bridge, the adjacent settlement of Ironbridge and the Ironbridge Gorge form the UNESCO Ironbridge Gorge World Heritage Site. In the town you can pick the Ironbridge Way and follow it north toward the impressive Telford Steam Railway on the western outskirts of the town. The route then turns east to take you back into Telford town centre. 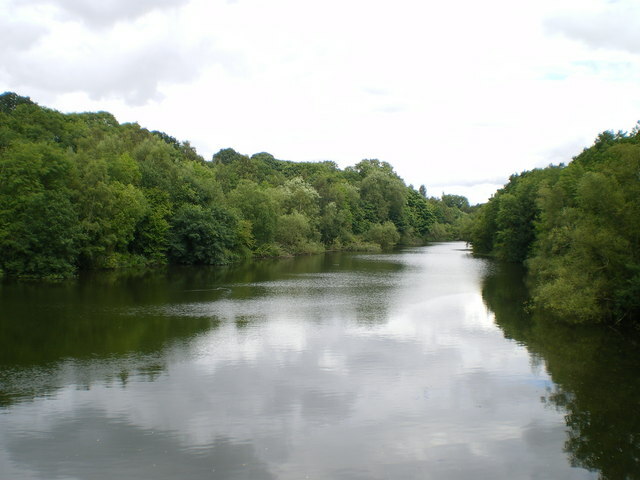 Just to the north of the town you can visit Granville Country Park. The pretty nature reserve has some nice footpaths taking you to copses, heaths, grasslands, pools, scrub, and wet woodlands. Just to the west of the town is the wonderful climb to The Wrekin where you can enjoy magnificent views over the beautiful Shropshire Hills AONB and no less than 17 counties of England. Silkin Way - Follow the Silkin Way through Shropshire and enjoy Rivers, parks and historical villages.